Choosing the shopping cart platform that is right for your e-commerce website can be daunting, so to make your task easier, we’ve compared four popular shopping cart solutions: Zen Cart, WooCommerce, Shopify, and BigCommerce. Zen Cart is an open source e-commerce shopping cart software based on PHP and MySQL. Although recent trends show that many new e-commerce websites favor hosted platforms, open source carts like Zen Cart remain popular since developers can modify the source code to create highly customized solutions. As is the case with any open source shopping carts, Zen Cart requires technical knowledge to install and customize. If you don’t have any coding experience, a developer can help you set up your e-commerce website exactly how you’d like it. Zen Cart is free to download, install, and use. However, you need to factor in the cost of web hosting since hosting is not provided, and if you lack MySQL and PHP experience, you’ll have to factor in web design and development expenses. WooCommerce is a plugin that enables you to turn your WordPress site into an e-commerce site, and it is by far the most popular e-commerce shopping platform, with 2,241,106 sites using the WordPress plugin. You can easily download the WooCommerce plugin from the wp-admin of your site and install it on your WordPress site. There is an abundance of features, and you can customize it to suit your needs right from the dashboard. WooCommerce is a free plugin; however, since it doesn’t include free hosting, that is an extra cost to consider. Although Shopify only has 7% of the market share, the Canadian e-commerce platform is quickly becoming an e-commerce favorite. Shopify’s rise to popularity is largely attributed to its ease of use. It provides novices with an uncomplicated, step-by-step process to set up their store and offers professionals a wide array of options. Setup is as simple as creating an account, selecting a theme, and customizing it to suit your e-commerce needs. With Shopify, you have a 14-day free trial, after which the cost will depend on the plan that you pick. The “Basic Shopify” plan will cost you $29 per month, the “Shopify” plan $79, and the “Advanced Shopify” plan $299. If you pay the fees upfront, you can save 10%on their annual plan and 20% on their biennial plan. While there are no transaction fees if you use Shopify Payments, using an external payment gateway will mean additional fees ranging from 0.5% to 2% depending on your plan. Since Shopify is a hosted solution, all their plans come with secure, unlimited hosting. 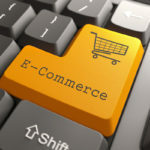 Although BigCommerce only has less than 0.1% of the e-commerce shopping platform market share, it offers several features that make it an excellent choice for online commerce. Though BigCommerce comes packed with functionality such as multi-channel retailing, SEO, and upselling, it is still intuitive and straightforward to use. Setup and customization are easy for those who do not have a lot of technical experience. BigCommerce offers a 15-day free trial, after which you can select the plan that suits your e-commerce needs. The “Standard” will cost you $29.95 per month, the “Plus” $79.95, and the “Pro” $249.95. You can save up to 10% if you pay annually rather than monthly. Hosting is included in their plans, and unlike Shopify, there are no transaction fees. 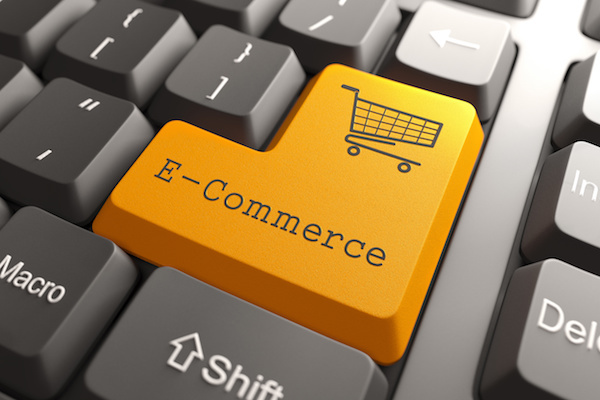 What e-commerce shopping cart platform do you use for your online business? Tell us your choice and reasons in the comments section below.